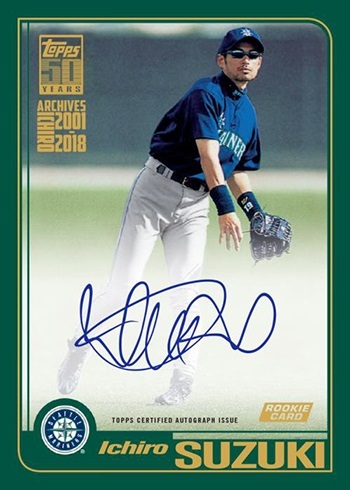 搶先看:2019 Topps Archives Baseball - 球員卡相關消息區 - 育盛球員卡(球星卡)及各類運動討論區 - Powered by Discuz! Nostalgia is the word in 2019 Topps Archives Baseball. The set celebrates eras of both the game and baseball cards. Basically, if you’ve collected at any point in the past 60 years, some pangs of the past are likely to follow. Hobby boxes continue to come with two autographs. The base set has 300 cards. It’s broken down into three sections, each with its own design inspiration. This time around it’s 1958, 1975 and 1993 Topps Baseball. Parallels include Purple (/175), Silver (/99), hobby-only Blue (/25) and Gold Foilboard (1/1). Additional variations are also part of the checklist, although specifics on these have not been revealed. The nostalgia doesn’t end with the base set. Inserts delve further into familiar designs. However, they tap into some other areas of the game and hobby as well. Jumping back 25 years are 1994 Topps Future Stars. The checklist here highlights current young players as well as some who were young back when this design made its debut. Autograph versions for these are all numbered including Blue (/25), Red (/10) and Gold (1/1) parallels. 1993 Topps Rookies recycle the 1993 Draft Picks design most recognizable today on Derek Jeter’s flagship RC. Two insert sets go back to 1975. The first is 1975 Topps Mini Base, which the card maker states as being “limited.” There are also 1975 Topps Highlights that spotlight some of the game’s biggest moments. Topps Magazine makes a comeback in 2019 Topps Archives Baseball. However, it’s not as a publication. Rather, cover designs and layouts from 1994 are being used to create a new line of inserts. Topps Magazine Autographs are a case hit. These have on-card signatures as well as Blue (/25) and Gold (1/1) parallels. Ichiro Retrospective looks back on the cardboard career of the recently retired star. These are similar to the Derek Jeter inserts in 2017 Topps Archives. Foil parallels come in Blue (/150), Green (/99), Gold (/50), Red (/10) and Black (1/1). Select cards are short prints. Not only are these tougher to pull but they don’t have Blue parallels. Autographs (/5, Black Foil – 1/1) are also available. 2019 Topps Archives Baseball has a second tribute set. 50th Anniversary of the Montreal Expos looks back on the franchise and its top players. Parallels are Blue Foil (/150), Green Foil (/99), Gold Foil (/50), Red Foil (/10) and Black Foil (1/1). 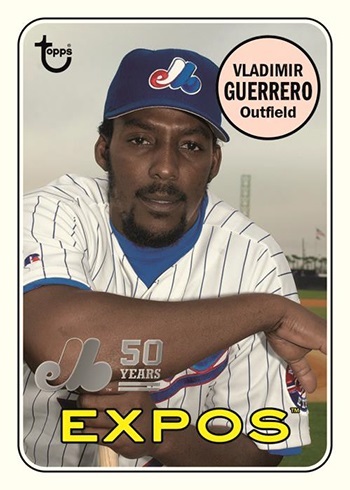 On-card autographs are also part of the Expos insert lineup as well as four levels of autograph parallels that have 99 copies or less. 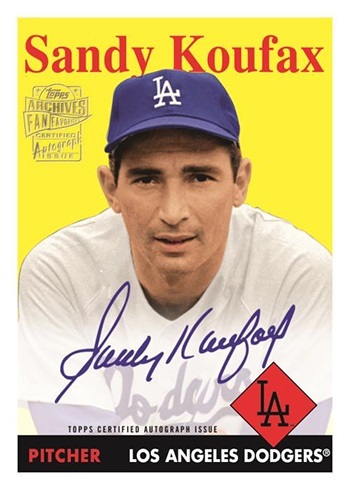 Fan Favorites Autographs are once again the main place to find signatures in Topps Archives. Using past designs, the checklist is a mix of retired and active players. As usual with this line, collectors can expect several players who might not carry ‘legend’ status (although, there should be some) but left their mark either for a short time or locally with their home markets. Parallels for Fan Favorites Autographs include Purple (/150), Silver (/99), Blue (/25) and Gold (1/1). 1978 Record Breaker Autographs are new to 2019 Topps Archives Baseball. Base versions have 25 copies each while additional parallels are Red (/10) and Gold (1/1). 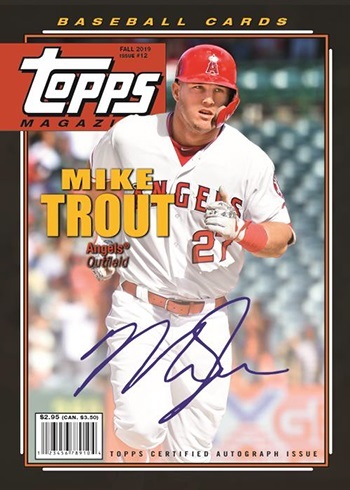 Topps Originals Autographs (/10) are buyback cards with new signatures. Dates for these cards go back to the 1950s and run through the 1990s.